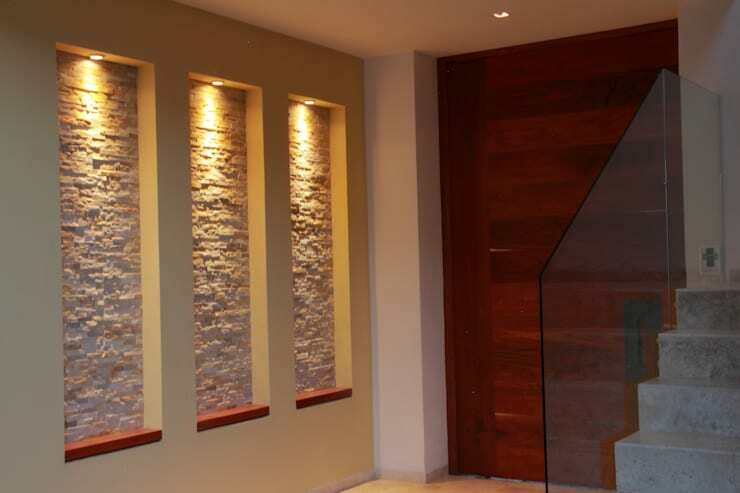 By adding some coated slabs of stone to the walls at the entrance of your home, you instantly create a fascinating contrast that along with some dramatic lighting adds style and elegance to your home. 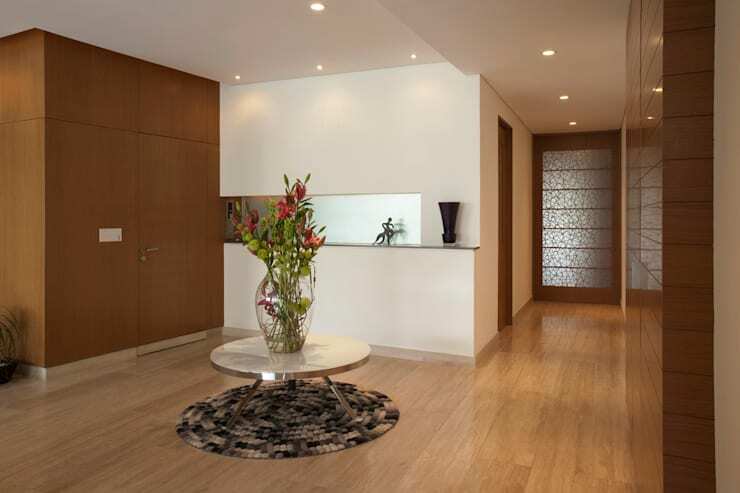 This modern décor is a great option for a minimalist space. 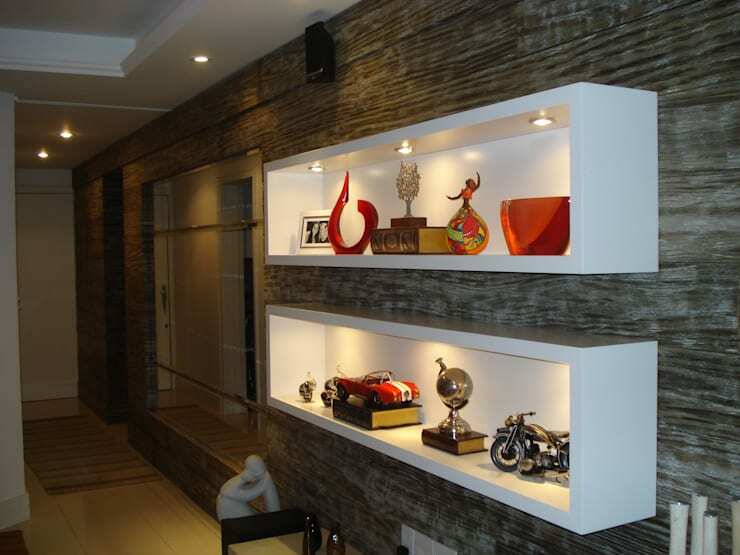 The niches act as shelves that create space for ornaments and personal objects without overcrowding a room. 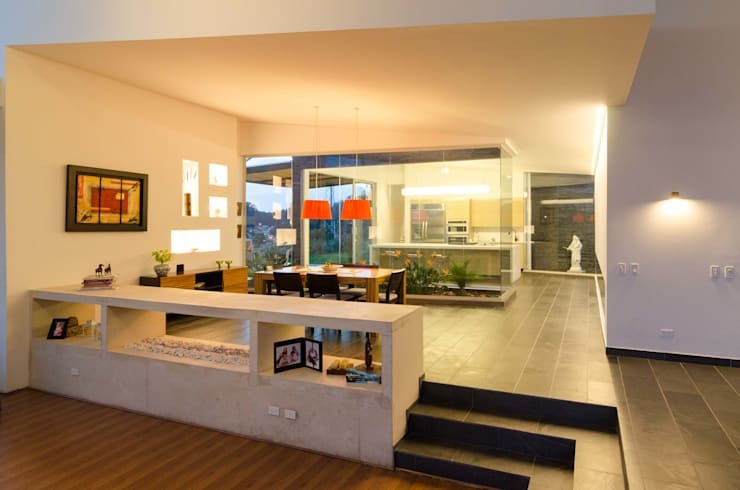 Different dimensions could be just the style idea that you’ve been thinking of, but wouldn’t dare to implement in your home. 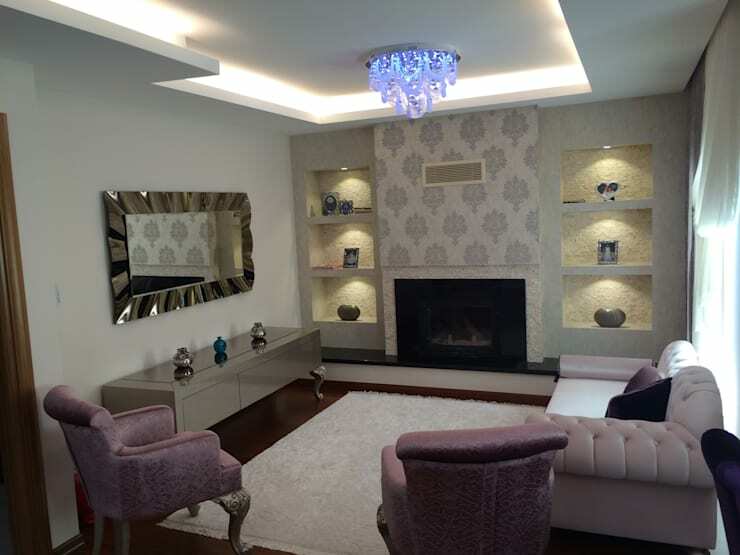 But, by utilising the space available and creating a multi-purpose corner through stylish design, a home can be attractive and eye catching too. 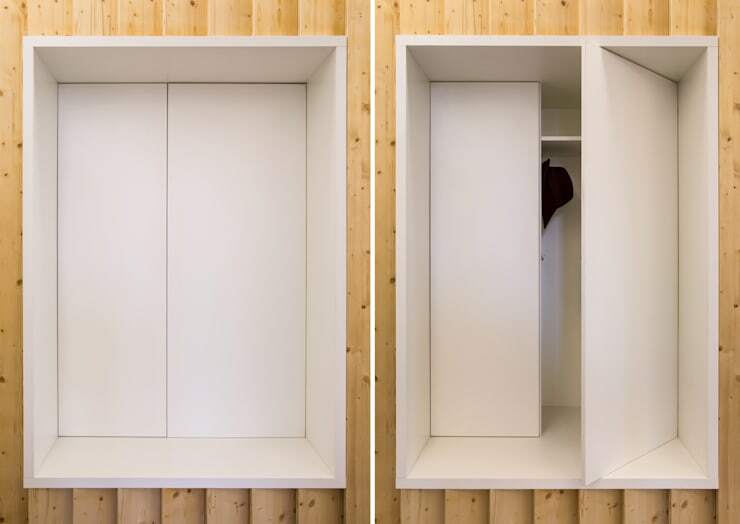 By using walls of low height as divisions, a room can be utilised for different purposes without cutting off space, this is a great idea, especially if the room is small or sunken as is the case in the image. 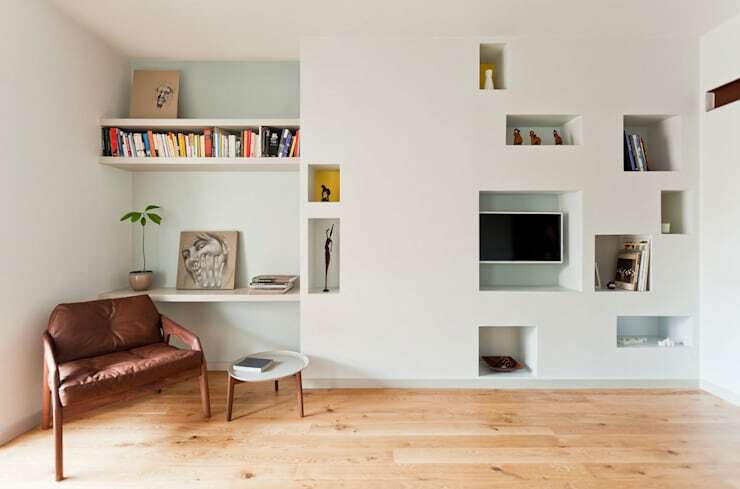 By adding shelves such as these, you also create extra storage in your home, which is always necessary. Shelves around the TV in your living room are a great way to store all tech items and accessories, but there isn’t always a way to get your wires and cords through to the TV without it looking unsightly. By adding shelves such as these, you create a decorative edge to your space, while also storing your items easily. Take advantage of those forgotten corners of your home by adding some fascinating and fantastic shelves, this will instantly upgrade your interior, especially when you add a floral arrangement or two. 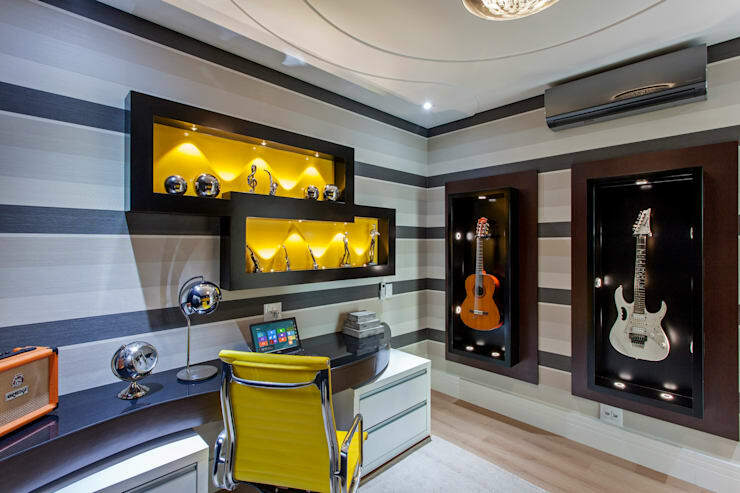 By contacting a professional joiner, your boring wall can be easily converted into some stylish storage space, complete with elegant lighting and sophisticated appeal. If you’ve inherited your home with shelves such as these, that doesn’t mean you should hide them or be shy, these shelves have a fantastic vintage flair that is chic and unique. What better way to showcase your personal style? The original shelves built into rustic homes already have so much character and style, so go and make your home an expression of your personality. 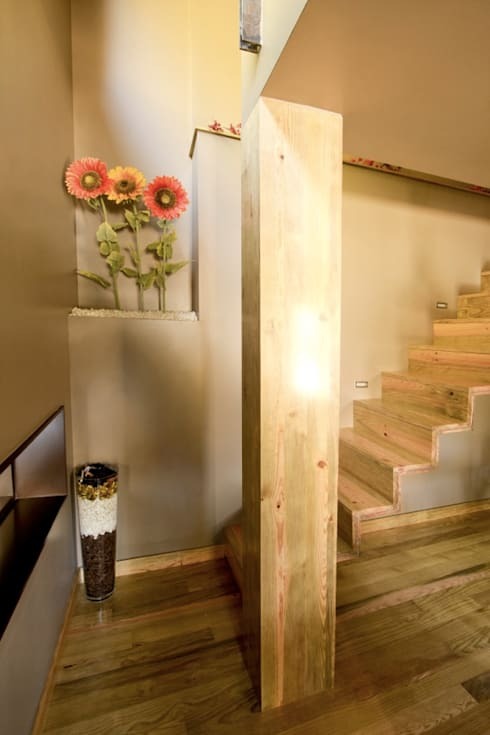 By creating a recess in the wall like the example it has a decorative edge and also allows for a glimpse of the outside. It’s gorgeous isn’t it? This shelf stands out from the rest. 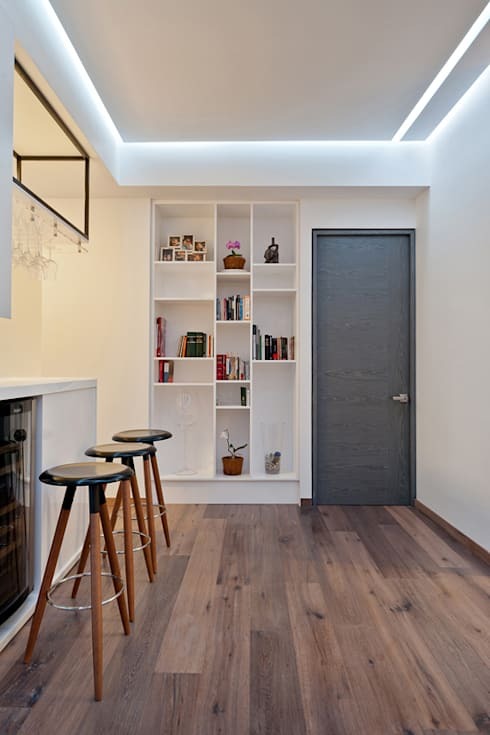 The brilliant lighting creates a soothing effect, especially as a storage space for books and other items. 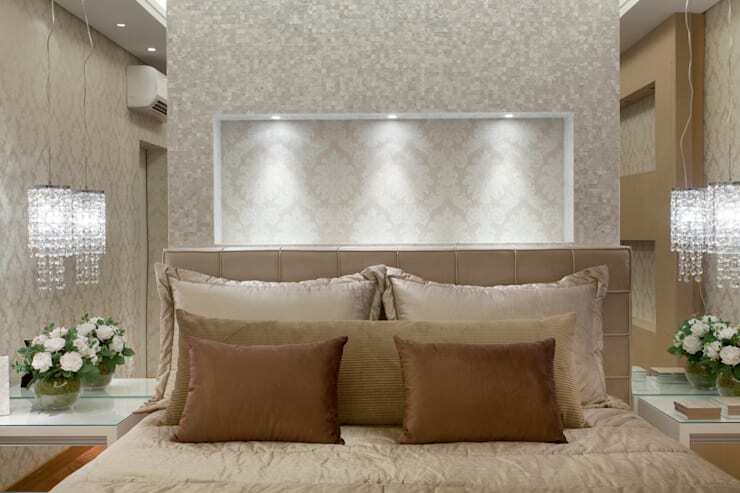 Have you considered creating a fantastic bedroom space that is elegant and filled with luxurious finishes? Well, this shelving choice and headboard might just complete your décor in an interesting and unique way. 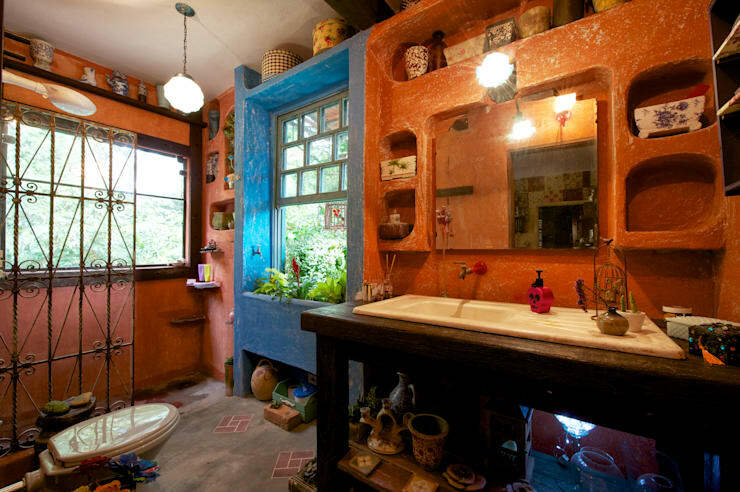 Here 10 Inspirational Small Bedrooms are to solve your interior decor problems. If you already have shelves in your walls, then adding a splash of colour will instantly make them more vibrant and interesting. It is impossible to ignore an eye-catching yellow. 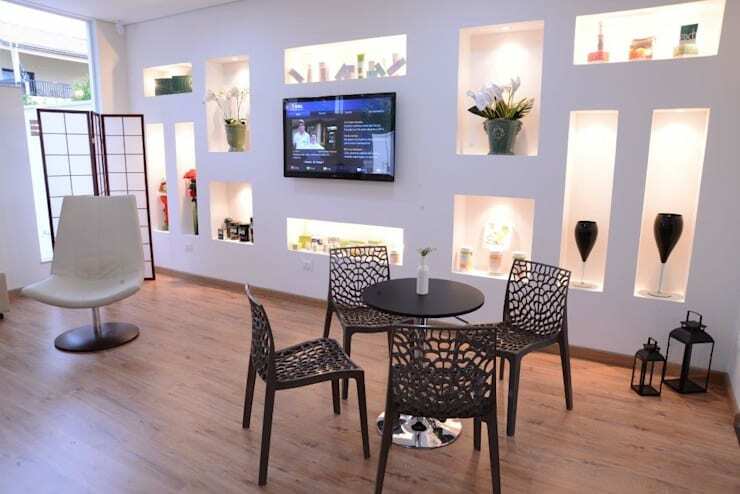 Creating an indoor garden such as this is a low maintenance and elegant way to add some nature into your home. 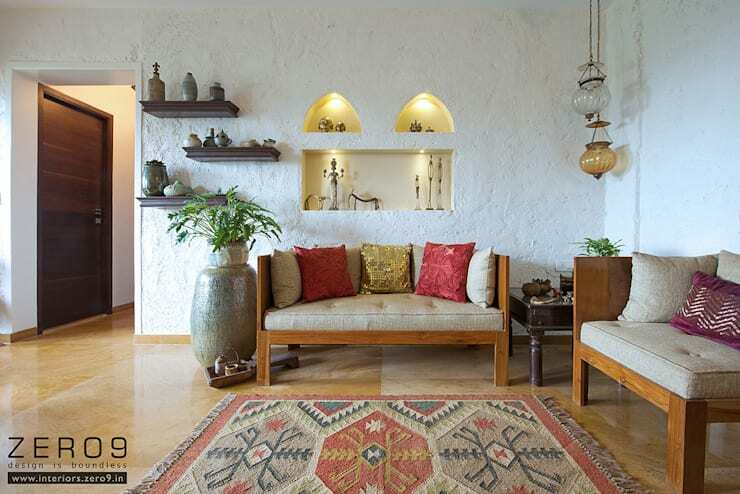 This may just be the harmonious and tranquil feature that your home needs to enhance comfort and relaxation. 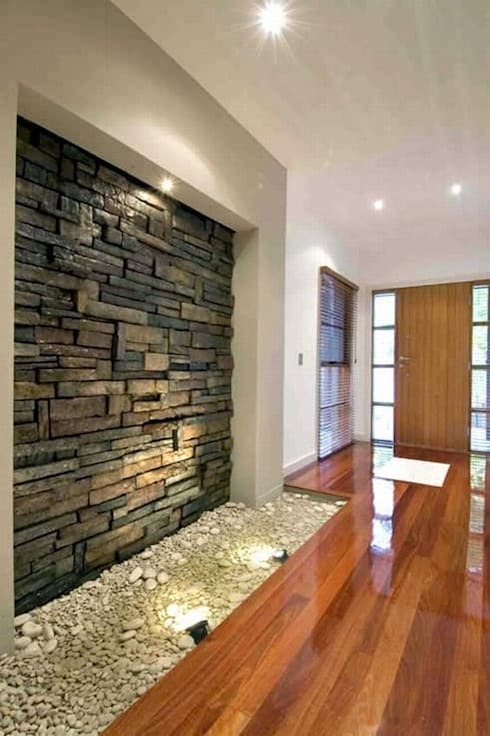 Stones and small green plants could be the Zen answer! By adding shelves into your home, you can instantly adapt and upgrade any room to be more vibrant and attractive. 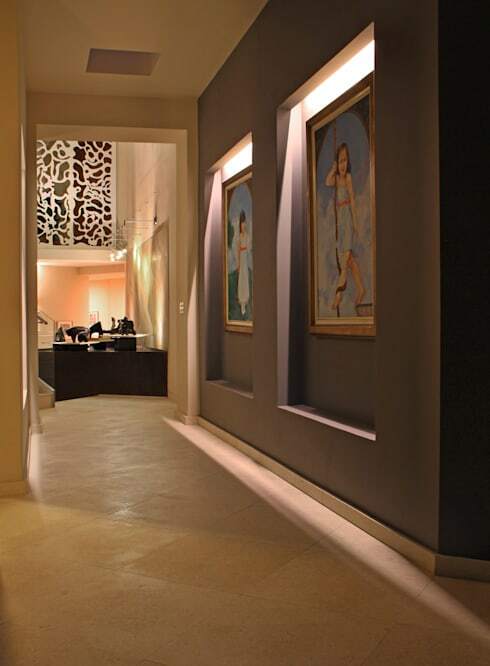 This image showcases a great way to display valuable objects and items in an entrance hall of a home. 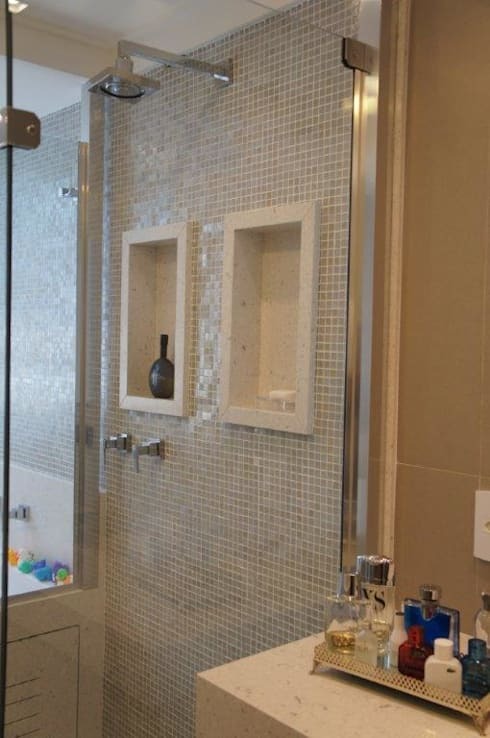 This solves a storage problem in small bathrooms, use these built-in shelves to store and accommodate bath products and accessories without cluttering your shower floor. The walls of your home are more than just structural, by adding some artistic shelving you create a sophisticated and designer space that only art lovers can understand, appreciate and enjoy… so go on and let you imagination run wild. Shelves are also a strategic means to solve decorative issues in smaller homes, by hiding cabinets behind shelves you solve two storage problems. Considering shelves to organise a home is a great choice, especially if it means your lobby or living room will look uncluttered and tidy again. It’s trendy and attractive regardless of the size of your home. Have you added shelves to your home?